Central’s robotics team, The RoboLancers, is one of the largest student clubs at Central High School, with over 100 members! The RoboLancers build three robots per year from the bottom up to compete against other schools in the city, state, country, and world. Many of our RoboLancer alumni go on to pursue careers in the STEM field. Please help the RoboLancers get to the world championship! Central’s Robotics has three teams: FLL-FIRST Lego League is the teams that mentor younger robotics teams at other schools, FTC-The first year robotics kids (FIRST Technology Challenge) Crimson and Gold teams, FRC-(FIRST Robotics competition) -our older, seasoned robotics kids. FIRST-For the Inspiration and Recognition of Science and Technology. So there are different levels of knowledge and building of the robots. The Central Robotics Club is always in need of financial help to purchase supplies and go to competitions! If you would like to make a directed donation online, please visit the General Fund donation page and include “Robotics” in the comments field. Competitions can be rather costly – see a breakdown of how much costs can accumulate to and how your donation can help minimize costs considerably. The RoboLancers would like to give special thanks to the AACHS for their continued support of the students; in efforts to keep donations whole to RoboLancers, the AACHS will graciously take care of all credit card fees incurred through donations paid by credit card in 2019. 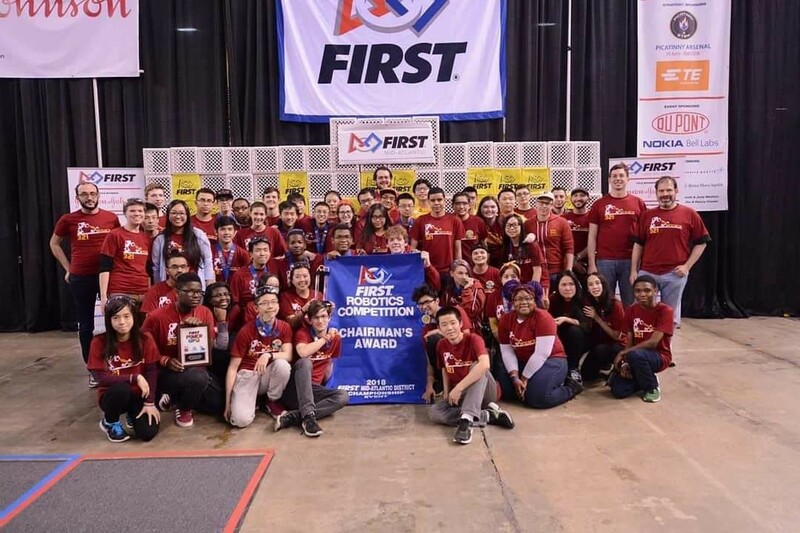 Central’s RoboLancers won the Chairman’s Award at the Regional Championship for the FIRST Robotics Competition in 2018! Thank you for your support of Central’s robotics students!